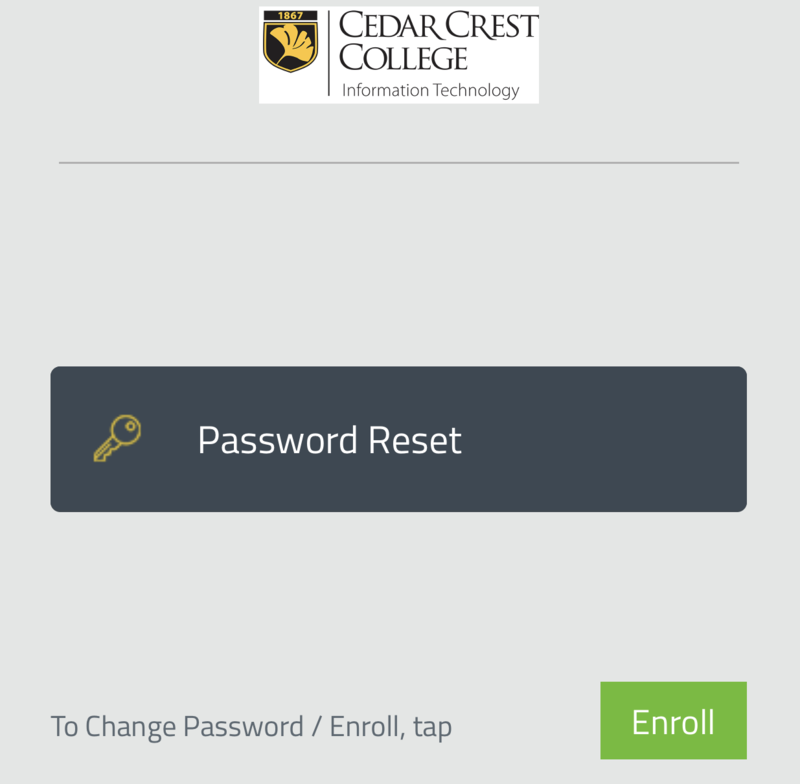 Open a web browser app such as Safari or Chrome and go to https://password.cedarcrest.edu​. To register, tap the green Enroll button. Enter your FalconNet username (ie, Jasmith). For password, enter the temporary password given to you by Information Technology. 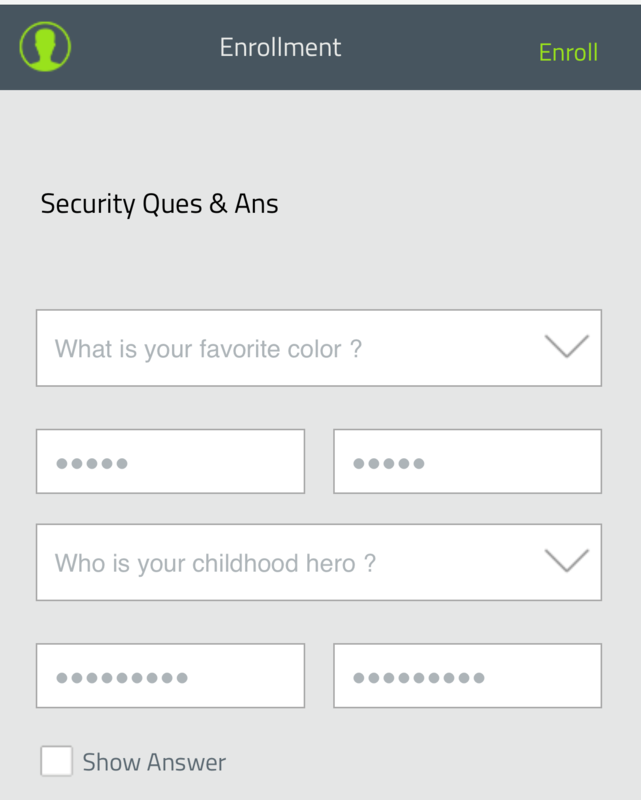 To enroll, choose two security questions from the drop down menu and enter your answers. When finished, tap Enroll. Next, you will be prompted to change your password. For Old Password, enter the temporary password again, then choose a new password. Check out this knowledge base article I found in the Cedar Crest College knowledge base. 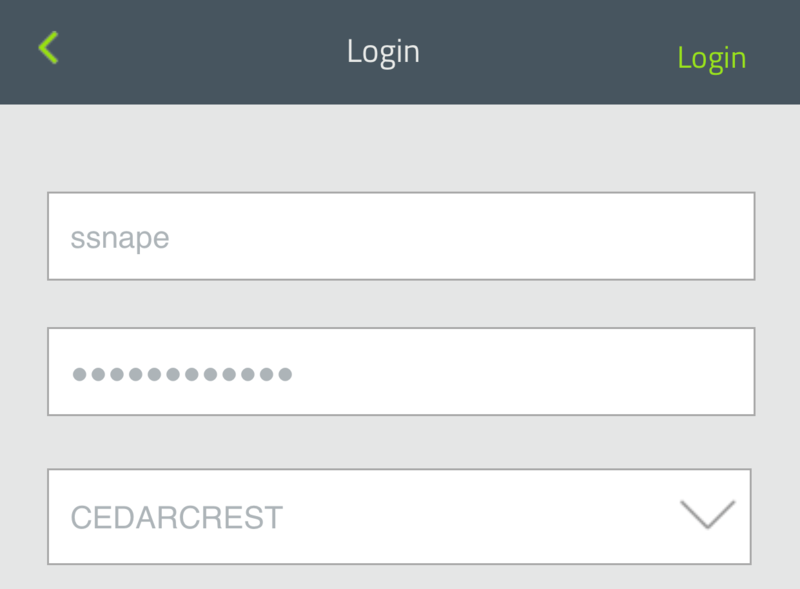 https://cedarcrest.teamdynamix.com/TDClient/KB/ArticleDet?ID=69982 How to Register for the FalconNet Self-Service Password Website - MOBILE DIRECTIONS Directions for using a mobile device to enroll on the Password Self-Service Website.